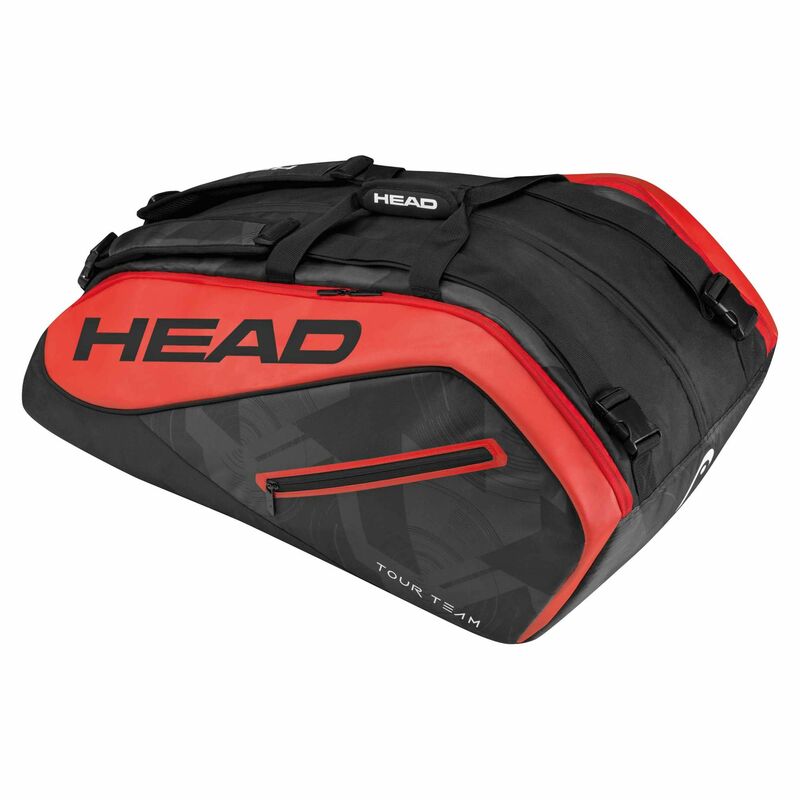 Designed with the serious players in mind, the Head Tour Team Monstercombi 12 racket bag provides a lot of space for the gear thanks to its 3 large compartments and can accommodate up to 12 rackets. This highly functional bag featuring CCT+ technology guarantees protection against extreme temperatures and has an inside mesh pocket for the valuables. There is also an exterior zipped pocket for smaller personal items and easy carrying is ensured by a 2-way carry system with adjustable backpack and shoulder straps and a padded carry handle. CCT+ technology featured in the racquet compartment insulates heat keeping your equipment protected. for submitting product information about Head Tour Team Monstercombi 12 Racket Bag SS17 We aim to answer all questions within 2-3 days. 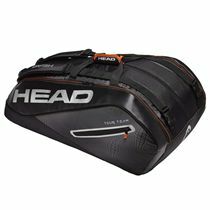 for submitting product information about Head Tour Team Monstercombi 12 Racket Bag SS17. We aim to answer all questions within 2-3 days. If you provided your name and email address, we will email you as soon as the answer is published. Good bag, easy to carry and good design. Could have done with a seperate compartment for wet clothing. This is a really beautiful product. I like it a lot. It is very convenient. for submitting product review about Head Tour Team Monstercombi 12 Racket Bag SS17.